Guitar Center Hobart welcomes all musicians by providing a massive amount of instruments for every musical preference and style, from guitars, amps, and effects pedals, to drums, DJ equipment, and even ukuleles and mandolins. Plus, each one of our staff members have their own field of expertise, so if you're trying to find an amp, wondering about a cymbal, or have a question about recording software, someone is always on hand to point you in the right direction. We also buy and trade used gear, which means our selection is always fresh. Guitar workshops and recording classes are regular occurrences, and our Pro Coverage on new gear gives you many benefits like Accidental Damage coverage, free shipping, and more. Something else you're curious about? Call us at 219-794-1330 and we'll happily give you the deets. Our private lessons in guitar, bass, keyboards, and drums are available in 30 and 60-minute sessions with flexible scheduling, so you can progress at your own pace. Maybe you'd rather be the instrument - in that case, come learn more about our singing lessons. And those are only scratching the surface of the unique services at Guitar Center Lessons in Merrillville, which also include jam sessions, recording lessons, group lessons and more. Want to know what it's like to be in a band? Ask us about our Rock Show program, which connects you with other musicians at your skill level to get the full experience. Guitar Center Hobart provides comprehensive guitar repair services for the Merrillville area. Our repair technicians are as passionate about your guitars and basses as you are, and we have the experience needed to keep them performing at their best. Whether you need a quick adjustment to make your guitar easier to play, or a complete guitar rebuild, we have the tools and know-how to take care of your instrument. Guitar Center Hobart can also help build a maintenance plan that fits you and your guitar or bass needs, including custom setups, restrings and more. We also take care of fret repairs, hardware and pickup installations, upgrades and customizations, bone and graphite services and more. Serving northwest Indiana musicians since 2003, Guitar Center Hobart is dedicated to anyone who has an interest in playing a musical instrument. Whether you have aspirations of playing the biggest stages or simply enjoy playing at home with friends, we offer a wide variety of musical instruments, equipment, and accessories, as well as many other services to help you be the best that you can be. 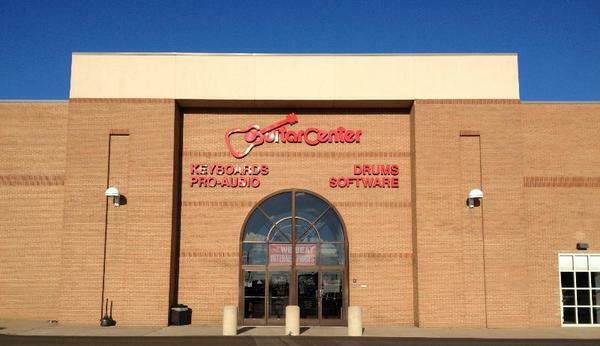 Plus, we're conveniently located at 2108 E. 80th Avenue in Merrillville (just off the Lincoln Highway), so you shouldn't have any problem finding us.Whatever your musical needs are, we'll do everything we can at Guitar Center Hobart to find what you're looking for. We believe that Northwest Indiana is home to some of the most creative musicians in the country, and for this reason we'll always strive our hardest to ensure you're provided with the necessary tools to make your music heard by the masses. If you're in the area, please stop by and say "Hi" today!